Members of the Arkansas House and Senate speak on the new package of ethics bills. 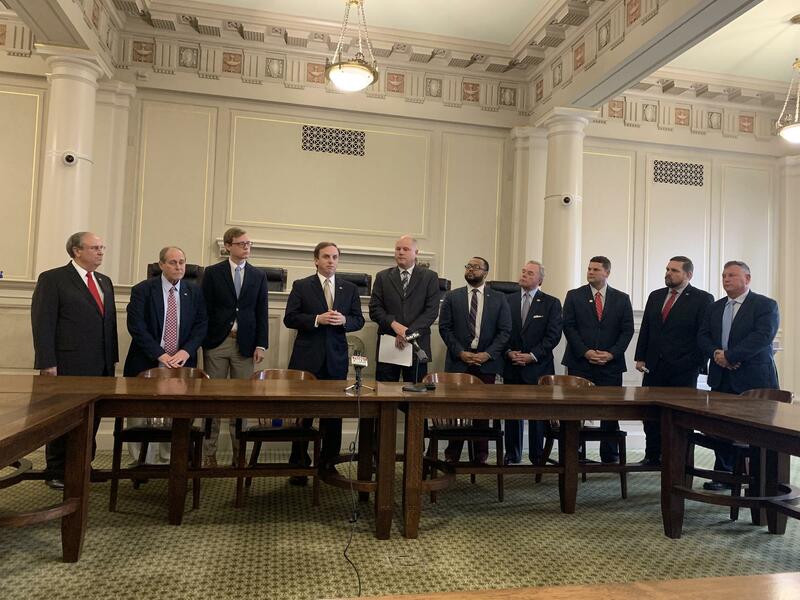 Members of the Arkansas Legislature say they will file six pieces of legislation concerning ethics within the state Capitol. In a news conference Monday, members and leadership from both parties in both chambers outlined the legislation that they hope will help reduce corruption. Senate President Pro Tem, Jim Hendren, R-Gravette, says this bipartisan effort to reduce corruption displays a willingness to work together not commonly seen elsewhere. "What you’re seeing here is not something you see in Washington D.C., which is people working together to do something good for the institution. So I appreciate the democrats and the republicans working together for that cause," Hendren said. A bill that would ban elected officials from working as registered lobbyists. A bill that increases the penalty for candidates using campaign funds as personal income. A bill that prohibits elected officials from having multiple PACS. A bill that will prohibit contributions from PAC to PAC. A bill that increases the maximum fine capability for the Arkansas Ethics Commission. Additionally, the legislature also plans to increase funding for the ethics commission. This will give the commission two additional positions and increase their operating budget and salaries. House Speaker Matthew Shepherd, R-El Dorado says this legislation shows that ethics reform is important to the legislature. "Several pieces of legislation here are very symbolic of the priority and importance of the role the ethics commission, and we want to make sure that they are strengthened and provided adequate resources and tools to carry out their function," Shepherd said. Both Hendren and Shepherd said these bills are not a final solution to solving some of the problems within both chambers and expect to continue improving the bills. House Minority Leader Rep. Charles Blake, D-Little Rock, says these bills are a good start, but do still need reworking. He says democrats will be involved with this process. "These bills aren’t final. So we’re going to go back and work on these bills after they’ve been filed. We will have some House democratic members as sponsors on some of these bills so we can make sure our voice is heard as well," Blake said. After the bills are filed, they will head to their respective House and Senate committees to be discussed and reworked.